Shotski's Pizza brings professional stand-up comedy to Salem every second Saturday of the month, with a rotating cast of professional comedians from all over the country. 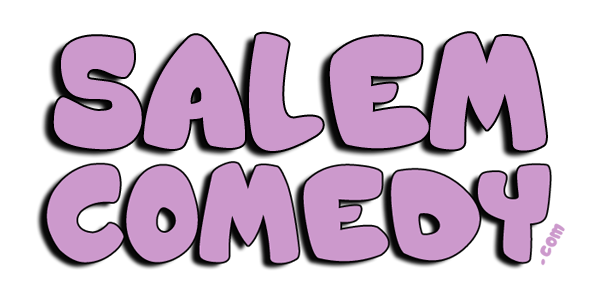 This month, comics from different corners of the NW invade the infamous Salem stage! Headliner Lance Edward will be joining feature acts Hyjinx and Jay Shingle from Portland. Salem's own Ray McMillin will feature, with Eugene's K.I. and a special guest host opening things up. The show is a 21-and-over affair, starting at 9:00PM. General Admission is only $5.00. RSVP seats for $10.00 get you a reserved seat at the table/location of your choice, plus 10% off your individual tab. If you want to bring a group of friends, the best deal is the $30.00 VIP Table, which seats up to six people, and gets your group 15% off the tab! After you purchase your tickets, our host will contact you via email to confirm you seating preferences. You can also purchase tickets at the door, but they tend to go much faster than one would expect. This show is proudly presented by 1HRx Entertainment.